…to students who weren’t even born in 2001? 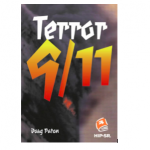 When High Interest Publishing first received the manuscript for TERROR 9/11, we were hesitant. Some of us wondered if publishing the novel was capitalizing on someone else’s tragedy. But our our senior editor insisted that it is the human stories that engage young people and entice them to pay attention to the true facts of history. 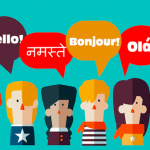 There are many excellent sources of lesson ideas to help teachers navigate the political, sociocultural and emotional sensitivities around teaching about the terrorist attacks of September 11, starting with the official 911 Memorial website. Moran and Socol suggest beginning with the concept of history as stories, and with students’ own knowledge and impressions. Asking students to read, listen to and compare the stories of 9/11 and to analyze the longterm effects of this tragedy in our own communities helps them become critical learners and historians. That’s why HIP published TERROR 9/11. And why it continues to be an important read today.